Bleaching and crown of thorns wreak havoc on Maldives reefs – but is this a temporary blip? Coral reefs have existed for around 300 million years. Today they are under severe threat and the island nation of the Maldives, whose economy and very existence is based on corals, is no exception. 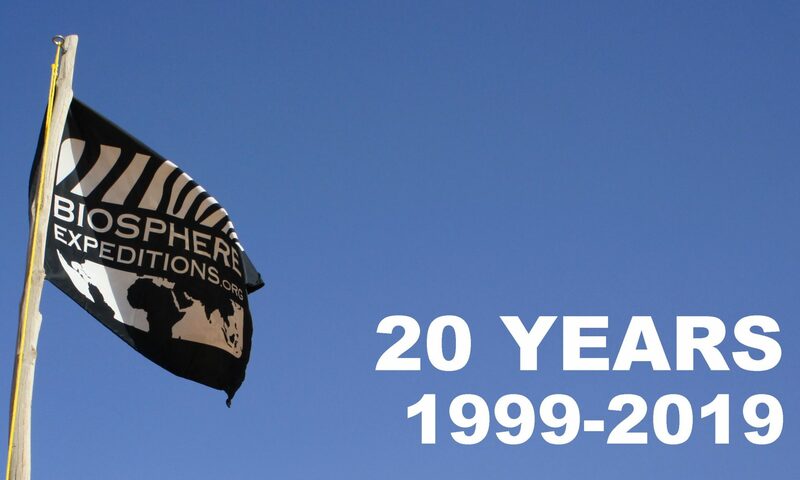 Biosphere Expeditions and the Marine Conservation Society report. Both coral bleaching (where hot water stresses corals) and Crown of Thorns starfish can be considered ‘natural’ events. But when these events happen often and with increased severity, reef survival is threatened, and therefore the very survival of coral reef nations such as the Maldives. Recent dive surveys by an international and Maldivian team of divers (Biosphere Expeditions, the Marine Conservation Society and Maldivian partners) have revealed a worrying reduction in the amount of Maldivian live coral over the past year. Healthy coral cover has been reduced to below 10% in more sheltered inner atoll reefs by bhe recent El Niño that has also devastated much of the Great Barrier Reef. El Niño hit the Maldives in May this year with two weeks of 32 degrees centigrade waters – at least 2 degrees above the ‘normal’ upper limit of 30 degrees. Outer reefs that are flushed with deeper, cooler water on a more regular basis have fared better (with an average of 25% live coral cover). But there is a silver lining: “What gives us hope is that the last big bleaching even in 1998 was hotter, longer and more severe, and many reefs recovered good coral growth within seven years”, says Solandt. Hammer adds: “It is not all doom and gloom. Where officialdom is failing, civil society and committed Maldivians are stepping in. 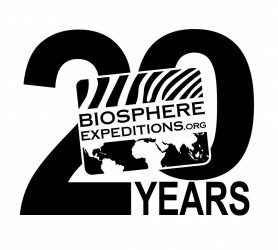 Ever since Biosphere Expeditions started running its annual research trip to the Maldives in 2011, it has educated and trained Maldivians in reef survey techniques as part of the Biosphere Expeditions’ placement programme. This culminated in the first-ever all-Maldivian reef survey in November 2014 and other community-based conservation initiatives since then, the latest in March 2016. Shaha Hasihim, for example, has taken part in several expeditions and is now training her compatriots in reef survey techniques and setting up community-based conservation programmes. So there is hope yet!”. 1. Minimum and maximum landing sizes of reef fish within commercial fisheries (as recommended by the Darwin Grouper project). 2. Ensure that resorts only buy fish above breeding age (much of the data of the size of maturity of reef fish is available from http://www.fishbase.org). Any fish below the size of maturity should be refused by resort marine biologists and catering staff. 3. Enforce protection of grouper spawning grounds, as recommended by scientists under the Darwin Grouper project, and gazetted under Maldivian law. 4. Employ marine enforcement officers at resorts to patrol house reefs, and to make them ‘no take zones’. 5. Only allow ‘catch and release’ fishing for resort guests as a matter of Maldivian law, enforced by resorts themselves with their own marine enforcement officers. 6. Use the economic returns from the tourism sector, and fisheries sector to invest in a proper waste recycling system to avoid the dumping and burning of waste. 7. Ensure that each resort uses tertiary sewage systems to treat waste water. 8. Where possible, use renewable technologies to harness the power of the sun, tide and wind to support the large energy demands of the tourist sector. 9. Use national incentives, such as ‘greenest resort award’ and ‘best reef award’ for those resorts who manage their reefs and environmental impact well. Provide tax breaks for such resorts. Here is a selection of pictures from this year’s expedition. Thank you to everyone who contributed. We have completed the week with six full Reef Check surveys under our belt and some fascinating variations in what we are seeing underwater. Jean-Luc, our expedition scientist, formed a theory early on in the week that it was the corals on the outer reefs that were doing better than the more sheltered inner-reef corals, and it is a theory that has held true in the areas that we have been surveying. We have gone from Rasdhoo at the north end of the North Ari Atoll, we have dived Bathalaa, Kuda Falhu, Dega Giri and all the way to Holiday Thila in the South Ari Atoll. Quite a journey involving a lot of travelling between sites in some lumpy seas, but with a great group of divers as company and some really lovely food to eat, it has not felt like that much of a journey. Our week ended with a whale shark survey, led by Iru who is one of the local placements on the boat who works for the Maldives Whale Shark Research Programme. She talked us through the work that she does and how we could help with the survey, but unfortunately we didn’t see a whale shark this year. Instead we added in a lazy drift dive on the outer reef, which looked really healthy and Jean-Luc managed to throw in an extra substrate survey as he could not resist adding to his data (he thinks of little else)!! The week was completed by a visit to Dhigurah Island with Aru (another of our local placements) leading the group, showing us his home. What a beautiful island! We had a fascinating visit, seeing the school and meeting Aru’s biology teacher, seeing the dive base where Aru (aged only 19) is completing his diving instructor training, and seeing how the local Maldivians live. Thank you Aru (and Iru, who is is based there as part of her whale shark work) for showing us your home! All that was left on Friday was to take the boat back up to the north where we began. The captain set the boat off early for what should have been a five-hour journey, but with force 7 winds picking up, it took a lot longer (some vessels could not get to Male’ that morning). Thanks to our captain for getting us safely back with everyone leaving on time for their flights. And thanks to all the team for a great week. We achieved a lot in a week, with everyone working hard, but we also had a lot of fun – the night time chair fishing will stick in my memory! Final thanks go to Shaha for her dedicated contribution to the science tuition, to Jean-Luc for doing an amazing job working far too hard throughout the week, and to our two dive masters, Chakku and Atho, for helping out with the survey dives and contributing their wealth of local knowledge. And finally the team, who could have just gone on an ordinary dive holiday, but instead chose to go diving with a purpose, giving their time and money for reef conservation in the Maldives, where it is badly needed. All the best to everyone and hope to see you all again. Everyone passed all the tests, both land-based and the in-water ‘pointy’ tests, where the trainers do indeed point at things and ask people to write on their slates what they think they are. We also completed our first Reef Check survey at Rasdoo, an exposed outer reef site, and encouragingly reefs were less affected by bleaching – the first reef check survey dive acts as a kind of final dress rehearsal, but if all goes well we use the data. It all went well. The dive itself was a really nice one, with a relatively flat reef down to about 4 m and then a wall going down below our survey teams. With low current and good visibility in our favour, the work was done very efficiently by all and several teams managed to see the eagle rays, turtles and sharks that cruised past and even lay undisturbed (in the case of one of the turtles), right next to our transect line. We’ve completed the second day of training and everyone has passed the first Reef Check test. The test was about identifying particular types of fish that are good indicators of reef health – and is generally considered to be the hardest test that we’ll do – so well done to all the team! Our training has so far all been done at Baros, where the resort is a partner in our work on reefs. During the training we have found, unfortunately, what we expected – a great deal of bleaching. Bleaching is extensive down to at least 20 m. Particularly hard hit are the more ephemeral branching corals, with significant (more than 50%) bleaching of most of the older, slower-growing massive corals as well. Total coral cover used to be 45% at the Baros house reef. That fell to only 10% in mid-May. Hopefully we’ll see less severe effects in our other survey sites from tomorrow onwards, but this is all we can do at this stage – hope. In the meantime, the life on the reef is still abundant. The team is having a great time, with some glorious veggie food being provided on board our very comfortable live-aboard. We’ll be doing more tests tomorrow and a full mock/practice Reef Check survey in final preparation for doing the real thing from Tuesday onwards. I have been here in the Maldives for 24 hours now and have seen all sorts of weather from heavy rain storms and high winds to hot, steady sunshine. The only constant is the temperature, which has remained at a warm but comfortable 30 degrees centigrade. The sea has been quite choppy with all the wind, so we may get some bumpy crossings. Our evenings will be spent at quiet anchorages inside the atolls, so we will have calm evenings and overnights. Arrangements are going well for everyone’s arrival on Saturday and with our usual boat being refitted, we have been given an upgrade so the accommodation will be very nice. As expedition leader one of my main concerns is everyone’s safety and as part of this role, I have visited one of the main hyperbaric chambers on the Maldives and met with the manager. They have a very good set-up here and I was impressed with the organisation. We have never needed to use these facilities as all of our survey dives are relatively shallow and we work well within PADI diving protocols, but it is important to be prepared. Hi, my name is Kathy and I’m going to be your leader for this year’s Maldives expedition starting soon. I’m going to be leaving the UK at the weekend to ensure that everything is well prepared for your arrival on 9 July. Once I have made it to Male’, I’ll be in touch again with my local mobile number and some updates. We are expecting a substantial amount of bleaching to have occurred this year, so be prepared for some strange sights on our surveys. Our scientist, Jean-Luc, knows a lot about the phenomenon that has caused this and the extent of the impact around the world, so expect to learn a lot about it and the work that has been going on around the problem. We will be documenting an exceptional event and your work on this will be crucial. Below is our proposed survey route FYI. I’m really looking forward to meeting you all and I hope your travels go well.